Latanoprostene bunod (LBN) 0.024% dosed once daily is a promising Option for IOP Reduction in Glaucoma.It is more effective for lowering IOP without increased ocular hyperemia and with comparable overall side effects, than the commercially available latanoprost 0.005%, according to a study published in the journal The BMJ. LBN ophthalmic solution 0.024% (Vyzulta™), is a new drug to reduce intraocular pressure(IOP) in open-angle glaucoma got FDA approval in 2017. The drug bagged the approval based on the randomized, investigator-masked Voyager Study, which assessed the efficacy and safety of LBN compared with latanoprost 0.005%, and also led to the appropriate concentration being approved. Robert N Weinreb and his associates conducted a study to assess the efficacy and safety of latanoprostene bunod (LBN) compared with latanoprost 0.005%, and to determine the optimum drug concentration(s) of LBN in reducing intraocular pressure (IOP) in subjects with open-angle glaucoma or ocular hypertension. The study involved 413 patients currently being treated and treatment-naive persons aged ≥ 18 years who were diagnosed with open-angle glaucoma or ocular hypertension in one or both eyes. Four concentrations of LBN were studied to determine the optimum drug concentration to reduce intraocular pressure (IOP): 0.006% (n = 82), 0.012% (n = 85), 0.024% (n = 83), or 0.040% (n = 81). Eighty-two patients received latanoprost 0.005%. The IOP had to be between 22-32 mm Hg and ≥ 24 mm Hg for at least two of three measurements at the baseline visit (which was considered the first day of the study) and after a 28-day washout period if applicable. One drop of study medication was instilled in the study eye(s) once daily in the evening for 28 days. Study visits occurred on days 1 (baseline), 7, 14, 28, and 29 (± 1 day for each). At each visit, IOP was measured at 8:00 AM, 12:00 PM, and 16:00 PM. The primary outcome measured was the reduction in mean diurnal IOP at day 28. All treatments led to significant reductions in mean diurnal IOP from baseline at all follow-up visits. The LBN 0.006% and 0.012% groups also showed numerically greater reductions in IOP compared with the latanoprost group, but these differences were not significant. IOP reductions were dose-dependent and appeared to plateau with the 0.024%-0.040% dose, which was statistically significant compared with latanoprost. The mean reduction in IOP at day 28 for each group was as follows: latanoprost, 7.77 mm Hg; LBN 0.006%, 7.81 mm Hg; LBN 0.012%, 8.26 mm Hg; LBN 0.024%, 9.00 mm Hg; LBN 0.040%, 8.93 mm Hg. A significantly greater proportion of subjects had mean diurnal IOP ≤ 18 mm Hg in the LBN 0.024% group at all visits. Esterases in the eye split LBN into latanoprost acid and butanediol mononitrate, a nitric oxide (NO)-donating moiety. NO donors decrease IOP by activating calcium-activated potassium channels, which relax the trabecular meshwork and increase aqueous humor outflow. Adverse effects observed were hyperemia and pain on installation. The study showed that LBN is more efficacious at doses over 0.012%, with 0.024% being most optimal. Patients who are on latanoprost alone, switching to LBN 0.024% may further reduce IOP, without the need to add a different second agent that may require more frequent dosing and decrease adherence. As NO moiety is cleaved off by esterases in the ocular milieu, it may be possible to add this agent to other IOP-lowering agents, such as timolol or brimonidine. This may provide future possibilities of combination therapy to maintain proper IOP. The study concluded that there is a significant reduction in IOP in patients using either LBN 0.024% or 0.040%, but the effect plateaued between those two doses. Therefore, the lowest efficacious concentration with the least increase in adverse outcomes was 0.024%, which is consistent with the now-available medication Vyzulta. 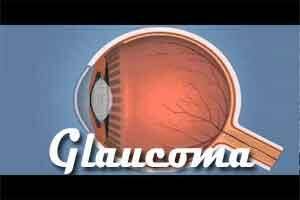 Glaucoma is a leading cause of blindness worldwide. Intraocular pressure (IOP) is the primary risk factor for glaucoma, and lowering IOP to prevent optic nerve injury is the only proven effective treatment.